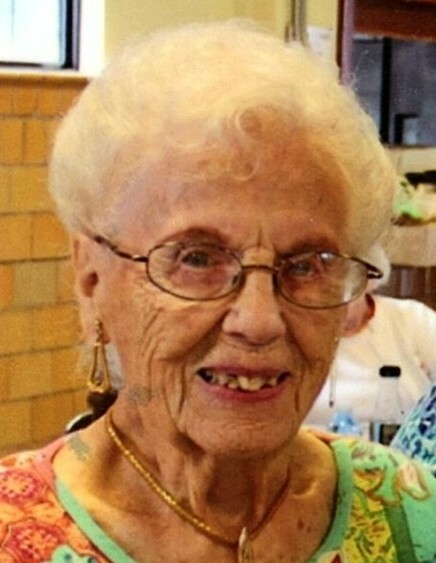 Lucille Mae Wood of Rossford, Ohio passed away surrounded by her family on her 103rd birthday. Lucille was born on November 23, 1915 to John and Mae (Friess) Eckhart in Toledo, Ohio. She was a graduate of Rossford High School. She married her husband, Ira Wood, on her birthday in 1938. During WWII, Lucille worked at Libbey Owens Ford in Rossford as part of the Rosie the Riveter movement. She later worked for United Savings Bank as a branch manager for more than 20 years. Lucille enjoyed traveling and gardening, as well as playing bingo and cards. In her earlier years she liked to hunt and fish. She served on the Wood County Board of Aging for more than 30 years, was a lifelong member of Daughters of America, and an auxiliary member of the Rossford VFW and Rossford American Legion Post #533. Lucille was active daily at the Rossford Senior Center where she made many wonderful friends. On November 23, 2015 Lucille was presented with a Proclamation from Rossford Mayor Neil McKinnon declaring it Lucille Wood Day to commemorate her 100th birthday. Surviving are her sons, Thomas (Thelma Weakley) Wood and Robin (Christine) Wood; grandchildren, Todd (Pamela) Wood, Trina (Jim Wise) Wood, Torri (Chris) Daggett and Keith (Bibi) Wood; great grandchildren, Krystal (Michael) Pleitz, Andrew (Suni) Wood, Kaytlyn Wood, Colton Powaski, Mitchell Powaski and Cassandra Daggett; 6 great-great grandchildren and her sister, Norah Colapietro. Also surviving are many nieces and nephews. Lucille was preceded in death by her parents; husband, brothers, Noland and Walter Eckhart; sisters, Mona Heuring and Luella Steadman; daughter in-law, Janet Wood; and nephew, Lawrence “Butch” Colapietro.